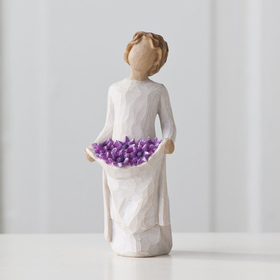 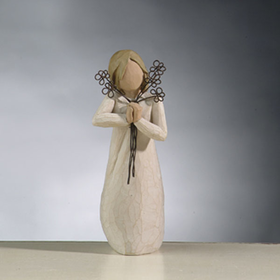 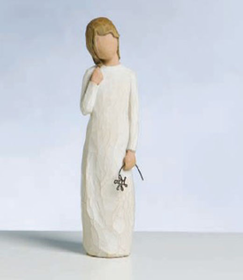 Give a meaningful gift with Willow Tree figures from Susan Lordi. 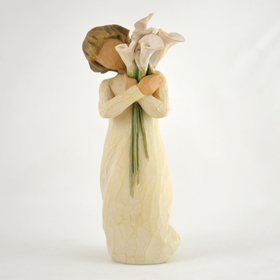 Each piece is hand carved and intended to show deep emotion through gesture only. 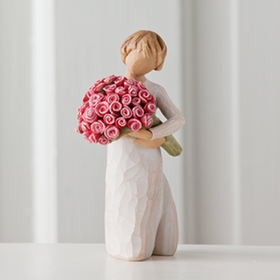 You�ll be surprised at what a tilt of the head, the placement of the hands, and a turn of the body can do! 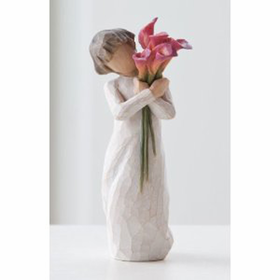 These Willow Tree statues are perfect gifts for Mothers, Aunts, Sisters, Friends, Grandmothers, or Daughters because they show how much you care and how much that special person means to you. 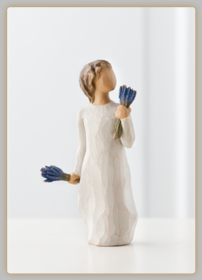 These floral Willow Tree figurines last much longer than living floral arrangements and convey life�s universal emotions through simplicity and elegance. 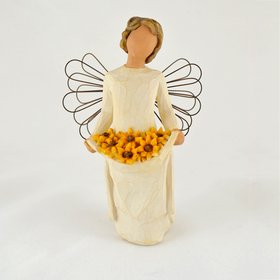 Their brightly colored flowers can also liven up any room. 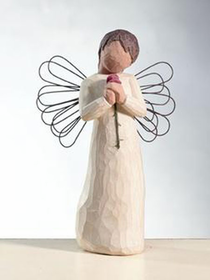 Willow Tree statues show someone important in your life that you care about them. 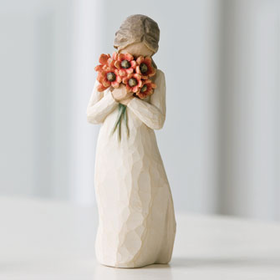 Whether you wish to commemorate love, happiness, friendship, or sorrow, Willow Tree figurines are both emotionally ideal for their touching nature, and affordable for a hand-crafted work of art. 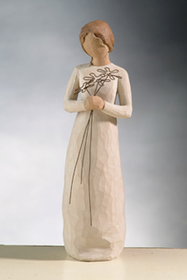 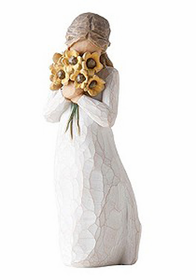 Susan Lordi�s Willow Tree figures celebrate life�s most charming moments in a signature way. 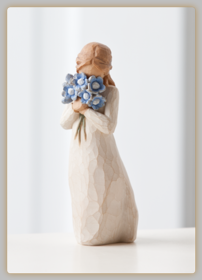 Shop for floral Willow Tree figurines today and give a floral lift to a special person in your life.